July 3, 2018 - On the eve of our nation's birthday, the Crimson Dogs and Concrete Donkeys waged a battle of attrition in pursuit of the Spring 2018 Tuesday Rec title. 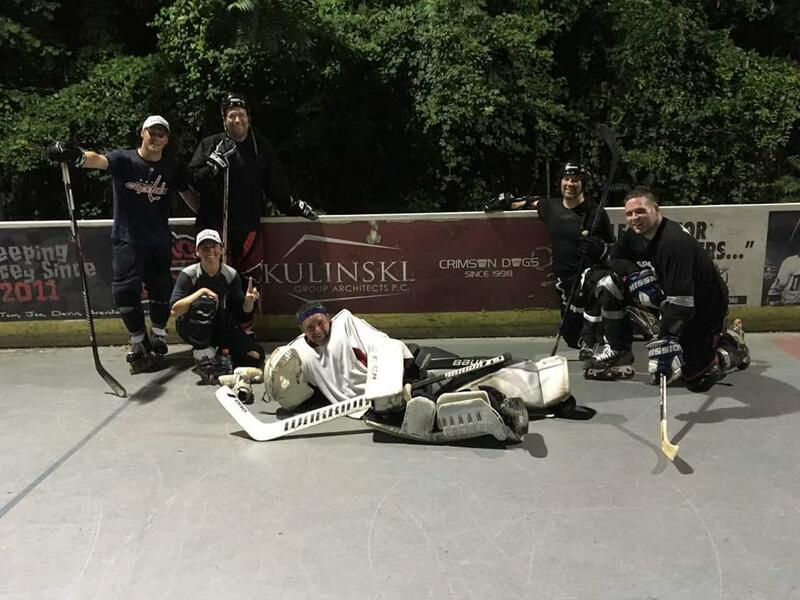 With only four skaters and a goalie a side, the two teams fought through one of the hottest and most humid nights of the summer iron man style. The Concrete Donkeys took an early 1-0 lead, but the Crimson Dogs didn't back down and quickly responded to tie the game. Led by veteran captain and founding team member Steve Kulinski, the Dogs continued to chase the Donkeys around the rink and found the back of the net three more times for a final score of 4-2 to give the Crimson Dogs their first Tuesday Rec championship in 20 years.